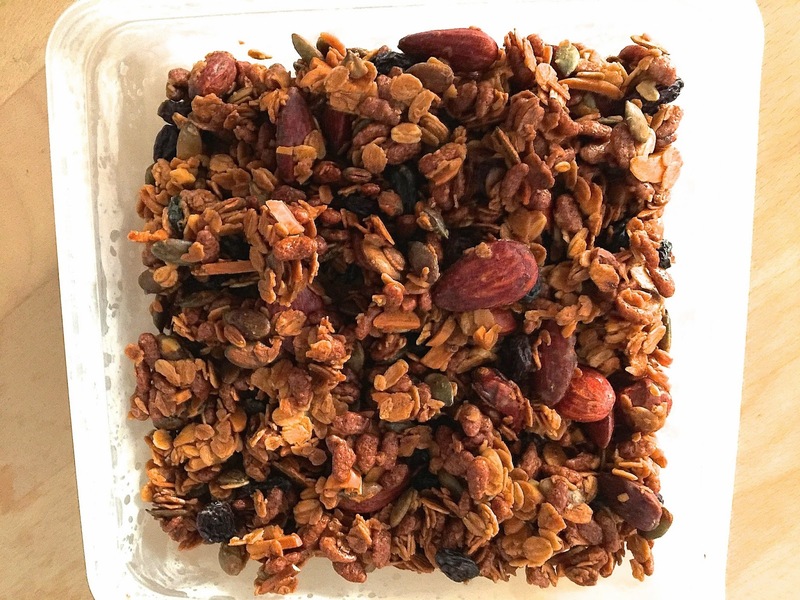 It is incredible that all these years we've been using store-bought granola: making our own, crunchy and healthy mix, took just about 35 min, including baking time, and the result is overwhelmingly positive. We checked the recipes on our favourite go-to blogs> Smitten Kitchen and Shutterbean, and adapted them a little, based on what we had, ingredients-wise, at home. Feel free to experiment with your own granola! Preheat the oven to 165C. Melt butter in a small saucepan on low heat, add nuts, honey, seeds. Increase the heat to medium and stir frequently for 5-7 min. Take off the stove, add remaining ingredients and mix well. Spread the granola mix evenly on a large and shallow baking pan, using baking sheet. Place in the oven and check/stir every 10 min, to ensure it is not over-baked. Max baking time 25 min (we used around 21min). Store in an air-tight container in the freezer, to preserve the crunch.